Stephen is an experienced advocate specialising in family and chancery work. He was one of the first arbitrators to be appointed by the Chartered Institute of Arbitrators under the IFLA scheme and is a Mediator who has trained on Bar mediation courses. Stephen is well-known for his perceptive analysis of law and evidence, and his skill as a hard-hitting advocate. No less important are his constructive but firm approach to negotiation, and his frank, practical advice. Stephen’s practice has a strong emphasis on complex financial matters. Many solicitors regard him as counsel of choice for dealing with TOLATA cases or financial remedies cases with complicated intervenor or trust issues. He is an associate member of the Institute of Certified Forensic Accountants, and is relentless in getting to the bottom of cases where income has been diverted or assets hidden. He is often asked to give seminars in financial aspects of family law. His clients have included a number household names from the news and the worlds of sport and business. Inevitably in an area of law involving ownership of property, there is often cross-over between the financial remedies/cohabitation/inheritance work and wider landlaw issues. Stephen has been instructed to appear and advise in a full range of Land Registration Tribunal matters, including quantification of beneficial interests and equitable accounting, adverse possession, easements/rights of way and landlord/tenant issues. He also routinely appears in difficult cases on behalf of children, parents and family members, including those with an international element. His cases have included cases where a parent has killed a child or another parent, where serious injury has been caused to a child, and where a child or parent has to struggle with serious mental health difficulties or addiction issues. Where possible, he takes a constructive approach which can often persuade local authorities to view parents more fairly: if support structures can be built up around children while still in their parents’ care, removal into foster care can often be avoided or reversed. Where required, however, he is dogged cross-examiner, good at exposing both factual inconsistencies and flaws in experts’ or social workers’ reasoning. Stephen has in the past spent time shadowing a social worker at LB Hillingdon to gain a better understanding of social work practice “on the ground”. Stephen’s combined background in criminal and family law makes him a perfect choice for domestic violence cases. He was junior counsel for Refuge in relation to the judicial review of the pilot domestic violence homicide review (into the Pemberton Murders), and was a researcher for Blackstone’s Guide to the Domestic Violence, Crime and Victims Act 2004 for Elizabeth Lawson QC. He has appeared in numerous fact-finding hearings at County and High Court levels, including where there are allegations of attempted murder and sexual misconduct, as well as appeals from them. He was instructed on one of the first forced marriage injunction cases at the High Court, and is sensitive to the difficulties and tensions involved in both bringing and defending applications in this area. His long experience of working with Muslim communities in London make him a suitable advocate to deal with FGM and radicalisation cases. He advised on the setting up of the East London Mosque’s legal advice service (“Pro Bono in the London Muslim Centre”). In addition to guardian work in children cases and cases in which the Official Solicitor is acting on behalf of a part without capacity, Stephen’s practice extends to court of protection matters. Stephen has a strong interest in the international aspects of family law. He is often instructed in cases involving foreign divorces or assets, where forum is in issue, or in child abduction/leave to remove cases. Singher J put his submissions on the “Owusu problem” (which was much later resolved by the authorities of JKN v JCN and Mittal) before the Family Justice Council’s International Family Law Committee to assist it in considering the ramifications of Brussels II Article 3 on non-convention cases. He has a particularly deep knowledge about the jurisdictions of the South Asian Subcontinent, to which a great many of his clients have been connected. He has appeared in court in South Africa and attended court as part of legal teams in Trinidad, France and the US. He has witnessed court proceedings in the European Court of Human Rights, Belize, Italy, Greece, Switzerland, India (Maharashtra). He has advised on cases relating to Jamaica (at Privy Council level), Russia (at ECHR level) and Southern Cyprus. He is on the panel of legal advisors to Falklands Islanders. Although no longer the main focus of Stephen’s practice, he has an extensive background in criminal cases. He appeared in a number of the well-publicised Parliament Square Protester cases, has been junior counsel in relation to a murder and has been sole counsel on many serious violence offences. His familiarity with financial work makes him especially effective in dealing with frauds in both a criminal and civil context, including where the Crown seeks confiscation orders. 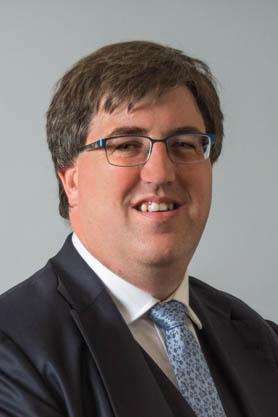 Stephen has appeared in employment cases on behalf of charities and pro bono clients since before he came to the bar, and has experience of group litigation such as the ET and EAT case of O’Reilly v Williams Lea which led to a record protective award following the collective redundancy of the 29 claimants for whom he acted. He has been involved in high profile cases, such as the litigation arising out of BBC Whistleblower’s 8 month investigation into Foxton’s Estate Agents and a racial discrimination claim against the NCA. He has also been in cases setting important legal precedents, such as the leading case of Arthur v L.E.R. He continues to accept instructions in the Employment Tribunal and all levels of appeal from it. Stephen regularly gives practitioner seminars on financial remedies, cohabitation, inheritance and childcare matters. He accepts commissions from firms, local authorities and other organisations to do in-house CPD-accredited training. He has given lectures and seminars at LLB level, as well as lecturing to forensic science and Ilex students. He has even twice stood in for a grammar school’s head of classics! He enjoys being involved in legal education. He is a Sponsor (mentor) for Lincoln’s Inn and has sat as a mooting judge at both the Supreme Court, House of Lords, Guildford Guildhall, the Inns of Court and various universities/BPTC providers. He is in fact himself studying for an MSc in Forensic Accounting to compliment his financial remedies practice. The breadth of Stephen’s practice comes from his long commitment to charity and pro bono work, which has often required him to familiarise himself with new areas of law quickly and thoroughly. This makes him an ideal advocate to instruct in cases which do not fit neatly into a defined area of law, or with substantial cross-over between areas. He has previously been a Linklaters Residential Volunteer and subsequently Assistant Co-ordinator at Toynbee Hall in East London, as well as having volunteered at St Hilda’s East Community Centre. He continues to volunteer at Waterloo Legal Advice Service and is a trustee is Waterloo Action Centre. Stephen is also a member of the Bar Council IT panel. Currently reading for an MSc in Forensic Accounting. Degree-level Latin and Ancient Greek. Some Welsh, Bangla and Hindi. 2004: Attorney General’s Pro Bono Award (1st Individual Prize, awarded in the House of Lords). Following this award Stephen was invited to 10 Downing Street and Washington DC in recognition of his pro bono work. This was a case in which the court vacated a fact-finding hearing and determined on the papers that the local authority could not prove threshold/non-accidental injuries at a CMH. An authority (in which a local authority was heavily criticized) dealing with perception of bias and flawed assessments in relation to experts. An authority dealing with bias arising from professional connections between a party and an expert, step parent adoption. An authority dealing with whether poker winnings can amount to earnings for tax and CSA purposes, and whether “earnings” means the same thing in both regimes. An appeal from a fact-finding hearing in which findings were made that a whole paternal family, spanning three generations. Application of ss. 52(1)(b) and 52(5) of the Adoption and Children Act 2002 where a parent’s refusal of consent is based on known facts about the person(s) in whose favour an adoption order is likely. An authority dealing with when step-parent parental responsibility orders should be made. Combined Children Act 1989 and Ancillary relief hearing in which, in respect of the latter, Mostyn J made observations about the inappropriateness of allowing wives to remain on benefits. A case where a father murdered the children’s mother. Appeal against a fact-finding hearing which was unsafe due to the evidence having been heard at 9 blocks of part-heard hearing over a 7 month period. Ancillary relief appeal seeking to re-open a 2 year-old order on the basis of a Barder event. Appeal against a child support decision made in the absence of the non-resident parent. A judicial review on behalf of the Save Ally Pally campaign to prevent Alexandra Palace being leased to a commercial developer to be turned, in part, into a casino. Article 8 judicial review heard together with a Children Act 1989 contact matter. Litigation arising out of an 8 month investigation by the BBC documentary Whistleblower into Foxton’s Estate Agents. A leading employment law authority for discrimination cases involving a “series of similar acts”, some of which are in time and some individually time-barred. A judicial review into the terms of reference for the pilot domestic violence homicide review under the Domestic Violence. Counsel in prosecutions arising from the well-publicised protests of Brian Haw, Barbara Tucker, Charity Sweet and others in Parliament Square. New series of authorities on step-parent adoption and bias/flaws in expert reports. Stephen Barlet-Jones has recently been involved in an interesting judgement. An article discussing the implications of Arthur v L.E.R. on procedure and law in discrimination cases.